The answer is simple and if you follow my simple irrigation rules, your lawn will continue to thrive as if it rained three days a week. Your brain is telling you that it just rained and you don’t need to run your irrigation system. Realistically, in just 2-3 days without water, your lawn can begin to show signs of drought stress. This is Florida, and in the summer in Florida, it’s extremely hot. Your lawn will absorb a certain amount of water from rainfall, but the rest will evaporate rapidly during the summer months. This will leave your grass roots thirsty for more. Signs of drought stress include: grass blades beginning to fold, grass blades beginning to turn purple, and patches of your previously green lawn turning light brown. These are all warning signs that you need to run your irrigation. It’s not enough to rely on the rain during the hot summer months. Be attentive to how long it’s been since it rained. Just because it rained last week doesn’t mean your lawn will be properly hydrated for weeks to come! Watch out for dry patches in your lawn. This could be fixed with a simple irrigation system check and adjustment. 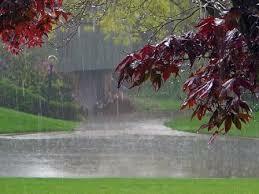 Follow the simple rule of watering 3 days after it rains, and your issues should quickly dissipate. Ask the experts at Southern Green how you can save water and money with our expert irrigation program. This entry was posted in Uncategorized on June 14, 2018 by Al Helquist. ← Previous post link Mosquitoes: Are you protected?